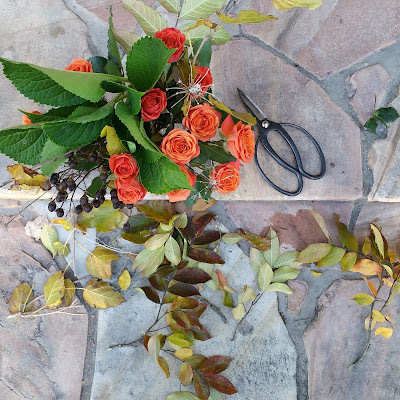 Here are some pretty grocery store roses combined with foraged autumn leaves from the woods. I tried to email you just now but got an undeliverable message for the address listed on your sidebar. Can you help? My friend called and thanked me, and sent me a pic of the arrangement, beautiful! Exactly what I wanted, and these guys from Bloomthat.com will definitely be my go to florist for any future blossom needs, thank you!